Little, Brown and Company, 9780316007047, 336pp. Even though Sewing Annie Coats and her son, Gabriel, have managed to buy their freedom, their lives are still marked by constant struggle and sacrifice. Washington's Georgetown neighborhood, where the Coatses operate a tailor's shop and laundry, is supposed to be a "promised land" for former slaves but is effectively a frontier town, gritty and dangerous, with no laws protecting black people. 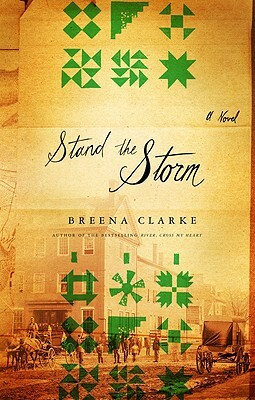 The remarkable emotional energy with which the Coatses wage their daily battles-as they negotiate with their former owner, as they assist escaped slaves en route to freedom, as they prepare for the encroaching war, and as they strive to love each other enough-is what propels STAND THE STORM and makes the novel's tragic denouement so devastating. "...illuminates and personalizes a dreadful part of our nation's past...a vivid view of slavery." "Clarke's sensitivity and her lyrical, earthy narration bring a freshness to the somber subject matter."